The Forester kangaroo (Macropus giganteus) is the largest marsupial in Tasmania and the second largest in the world - males can reach over 60 kg and, when literally on tippy toes, stand 2 m tall! Colour varies from light brownish grey to grey. They have a thicker tail than other macropods and have relatively large ears. They differ from the other two species in having hair between the nostrils and upper lip. They often make clucking sounds between themselves and give a guttural cough when alarmed. The species is common on mainland Australia, where it is commonly known as the grey kangaroo. In many areas of the mainland, the clearing of bushland, creation of improved pasture and provision of farm dams has upset the natural balance in favour of increased kangaroo numbers. In Tasmania, however, the population was reduced to 15% of its previous level in the 1950s and 60s. The Forester kangaroo is restricted to northeastern Tasmania and small areas in central Tasmania. The Mt William National Park in the northeast provides the opportunity to see these animals along 'Forester Drive'. A drive, or stroll along this road at dusk is most rewarding. The Forester has also been introduced to Maria Island National Park and Narawntapu National Park. Preferred habitat is open grassy forests and woodlands of northeastern and central Tasmania. Foresters often feed during the day, but mostly in the early morning and evening. Grasses and forbs comprise the diet. Forester kangaroos are social animals that are usually seen in family groups of three or four, but may occur in loosely associated mobs of more than ten. Like all macropods, the Forester kangaroo moves by hopping. At moderate speeds, such a form of locomotion is more energy efficient than quadrapedal running. 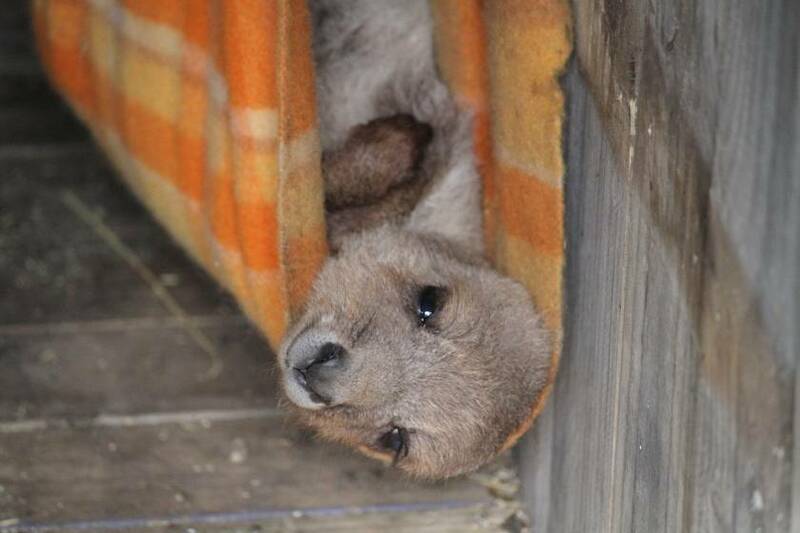 Kangaroos can damage crops and pastures where local populations are high. Due to their large size, they can also damage fences. As a result they can come into conflict with landholders. 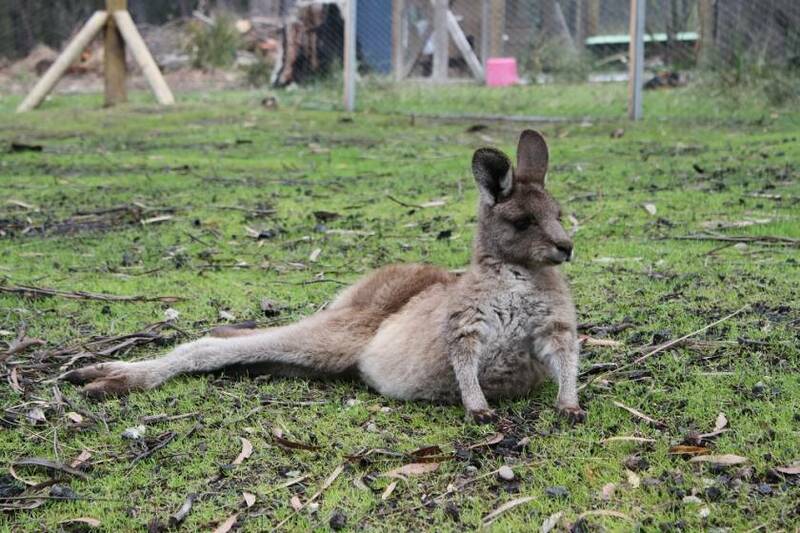 Find out more about living with kangaroos. Births occur throughout the year, with a peak in the summer. Gestation is 36 days. 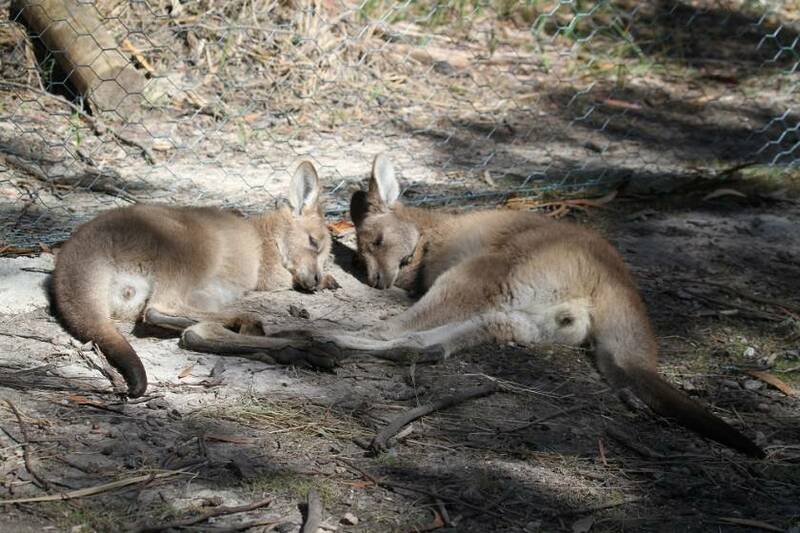 Pouch life lasts 11 months and weaning occurs at 18 months. The Forester kangaroo is protected wildlife.